A couple of months ago we ran a feature looking at what it would look like if track day special supercars were actually entered into races. 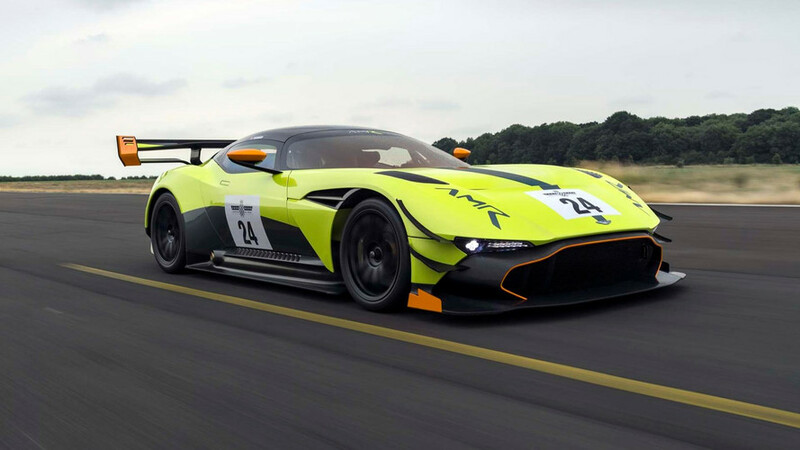 Well, it looks like Aston Martin paid attention, because its bonkers track-only toy, the Vulcan, will be making its race debut at Le Mans next month. The car will compete in the Aston Martin Festival race on Saturday morning ahead of the 24 Hours of Le Mans. Only a handful of the 820-hp car were delivered, but none were built to specific race regulations, and as such haven't competed yet. Instead, they've been used exclusively in Aston Martin-organised track day events. It was originally supposed to make its competitive debut in July 2016 at an Aston Martin Owners Club race at Snetterton but despite plans to run "one or two," none entered the club event. "We've been running the track day program with our customers for a while now and there is a small element wanting to race them," said Aston Martin Racing president David King. "The cars are built to a full-race specification in terms of safety, so we are happy to give them that chance." 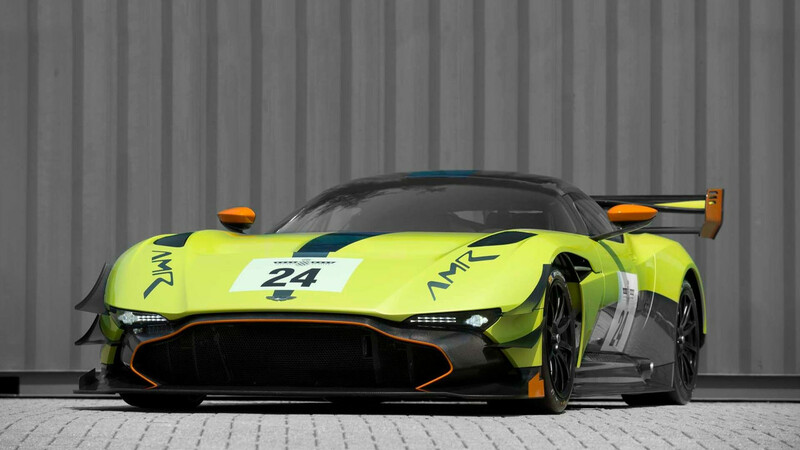 Three Vulcans will take part in the event which will also likely include GT1-spec Aston Martin DBR9s, Vantage GT2s, GT3s, and GT4s, and well as their recently-replaced Vantage GTE. A number of high-profile drivers have already signed up to the race, including former Aston Martin chairman David Richards, whose Prodrive organization has run the company's racing activities since 2005. TV personality Paul Hollywood, Olympic legend Sir Chris Hoy, and ex-F1 race Martin Brundle will also take part in the event. As well those celebrity pilots, there will be a handful of drivers with connections to the factory team. Lasse Sorensen and Benny Simonsen – the younger brothers of Marco Sorensen and Allan Simonsen, who died at Le Mans in 2013 driving an Aston Martin – and Aston racer Alex Lynn's father Shaun are other names signed up for the race. Friday 18 May, Banbury: The hugely popular Michelin Aston Martin Racing Festival will return to Le Mans on 16 June, 2018 with a packed 38-car entry and a star-filled line-up that includes Sky F1TM commentator and former Le Mans winner Martin Brundle and his co-driver, the multiple Olympic gold medal winner, Sir Chris Hoy. The 45-minute race takes place on the same day as the 24 Hours of Le Mans on the full circuit at La Sarthe, and will be filled with cars from all corners of the Aston Martin universe. 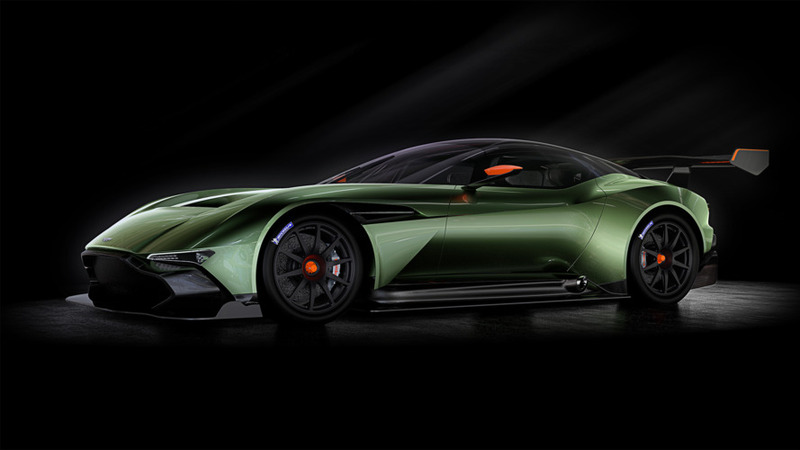 And, for the first time ever, will include two of the awe-inspiring 7-litre, V12-powered Aston Martin Vulcans – entered by the newly-opened AMR Performance Centre, based at the Nürburgring in Germany. “I’d never miss a chance to race on the full Le Mans circuit, I love that track,” said Brundle, whose Vantage GT4 will also be entered by the AMR Performance Centre. “This will be particularly special partnering Sir Chris Hoy in a beautiful Aston Martin Vantage GT4. Chris is a good friend and handy on the pedals in every respect. Included among the other GT4 celebrity drivers are Aston Martin CEO Andy Palmer, ‘Bake-Off’ television presenter Paul Hollywood, Prodrive chairman David Richards (who will race alongside Aston Martin customer team owner Andrew Howard in a Beachdean AMR-entered car), and Jamie Chadwick who became the youngest driver to contest the Nürburgring 24 Hours in May. The race will feature a wide variety of Aston Martin machinery, including a number of examples of the company’s most successful racing car – the V12 Vantage GT3 – entered by, among others Jetstream Motorsport, TF Sport and Young Driver AMR, whose car will be driven by team owner Jan Struve and Aston Martin Racing Managing Director John Gaw. There are also older Vantage GT1s, GT2s and even the 2016 FIA-World Endurance Championship-winning #95 Danetrain V8 Vantage GTE driven by Marco Sørensen’s brother Lasse on the entry list. Aston Martin Racing’s Head of Customer Racing Huw Tasker said: “I am very excited to welcome our AMR customers to Le Mans. What GT driver doesn’t aspire to be a part of the biggest racing event in motorsport? So to be able to make this happen for our customers is very special. We have AMR cars of all varieties, from different eras, showcasing the pedigree of the cars which AMR has designed, developed and raced over many years. The race will take place on 16 June, at 1015 CET. For more information follow AMR­_Official, via the hashtag #AstonMartinFestival on Twitter, or via media.astonmartin.com.